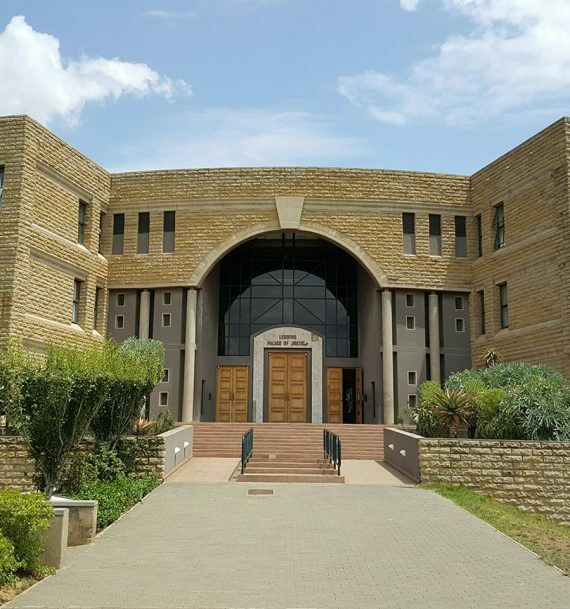 Members of the judiciary on Friday gathered at the High Court in a judicial memorial service to mourn the death of Justice ‘Maseshophe Alidah Hlajoane who passed on in March 02, 2019 after a long illness. Speaking at the event surrounded by a full bench of Judges of the High Court and President of the Court of Appeal, the Acting Chief Justice (ACJ), ‘Maseforo Mahase said the Bible teaches that it is during emotional moments like this that we realise that the proverbial crown has fallen off from their collective heads and that the tallest tree that provided the eternal shade to their aspirations in the promotion of human rights, rule of law and independence of the judiciary has suddenly been removed. 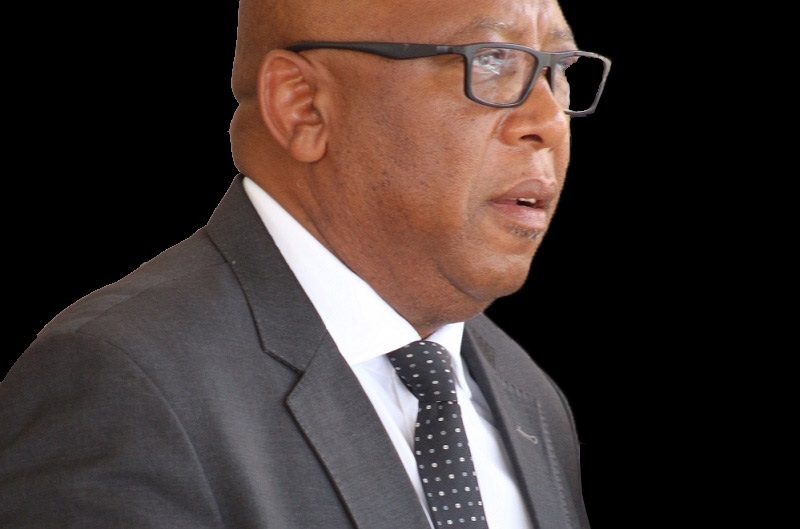 ACJ Mahase added that Justice Hlajoane who was like a fountain that natured the seeds of integrity, civility and work ethic, professionalism and collective conscience has ceased to function. She said Justice Hlajoane who was affectionately known by retired Chief Justice Mahapela Lehohla and general staff of the High Court as the “Chieftainess and Boss-lady” was her senior and confidante whose passing has left a huge void difficult to fill, saying this is because she was expecting that they would together walk this long arduous route of guiding the judiciary to greater and new heights. ACJ Mahase said the judiciary shall forever mourn the loss of this great woman of their generation and that they also feel privileged to have learned from her and reaped invaluable lessons from her wisdom, intellect, work-ethics and integrity. She further revealed that Justice Hlajoane was a person whose exemplary life will always be a flashing light to plague the dozing conscience of mankind and that her goodness was not found in a passive commitment to a particular creed, but in her active participation in a lifesaving creed, not in a moral pilgrimage that reached its destination point but by the love ethic that she journeyed life in a highway. ACJ Mahase said Justice Hlajoane literally sucked the concept of justice from the thumb, from the cradle to the grave and that it is an enviable record that most of the judicial officers can only hope to emulate, saying it is also why it even later pleased His Majesty to again elevate her to the position of Acting Judge of the Court of Appeal and later, Acting President of the same court, a position she however owing to legal intricacies never assumed. She further commented that Justice Hlajoane was a fearless and indefatigable fighter for human rights, rule of law, judicial independence and incorruptible beyond dispute and unrivaled and that only few among the judicial officers can match her resoluteness to stand firm and dig in her heels in defence of these seminal concepts of the jurisprudence. 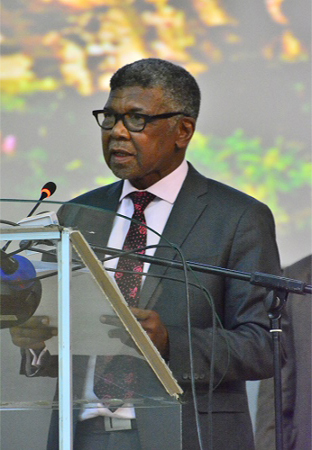 Speaking at the same event, the Attorney General (AG), Advocate Haae Phoofolo KC said he first knew Justice Hlajoane in the 1980s and that throughout the many years that he knew her as a judicial officer in the subordinate court, and as a Judge of the High Court, she was mentioned the high level of honesty to the oath she took. Advocate Phoofolo commented that judging from Justice Hlajoane’s curriculum vitae, her ascendancy to the high judicial office she held until her passing on was not an easy and rapid one but characteristics of her make up fate made her to learn the rules of the game very deeply as she also submitted herself to the divine guidance. Advocate Phoofolo said he can boldly say that when Justice Hlajoane became a Judge of the High Court, she was ready for the challenge both with the immense knowledge of the law in practice and theory but also with character, the tools which made her a no nonsense type of a Judge. 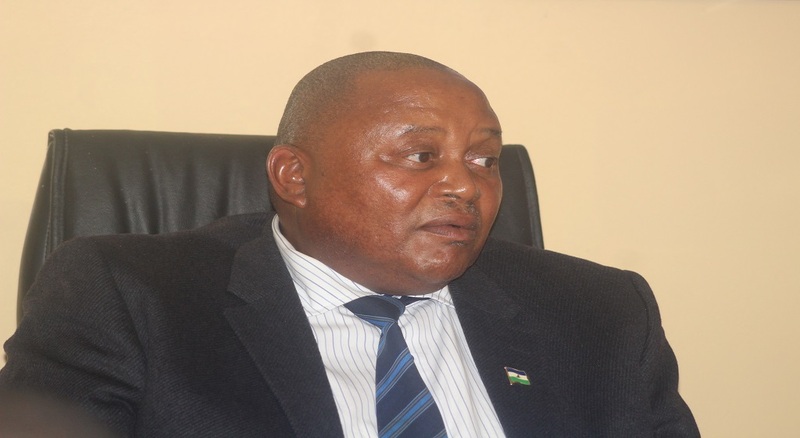 He further noted that Justice Hlajoane has left her legacy in the judiciary, the thing which makes the nation proud although she left at a time when Lesotho needed a Judge of her wisdom and integrity above all. Representing the Law Society of Lesotho, the Treasurer, Advocate Moshoeshoe Mokaloba said Justice Hlajoane was a kind of a Judge who was not involved with politicians and was one of the few Judges who was not only hearing cases but also writing and delivering judgments, the qualities he commented differentiated her from other Judges. He added that the Law Society acknowledges Justice Hlajoane’s contributions in maintaining and restoring the rule of law and justice in the country, commenting that she always ensured that legal proceedings were conducted fairly. 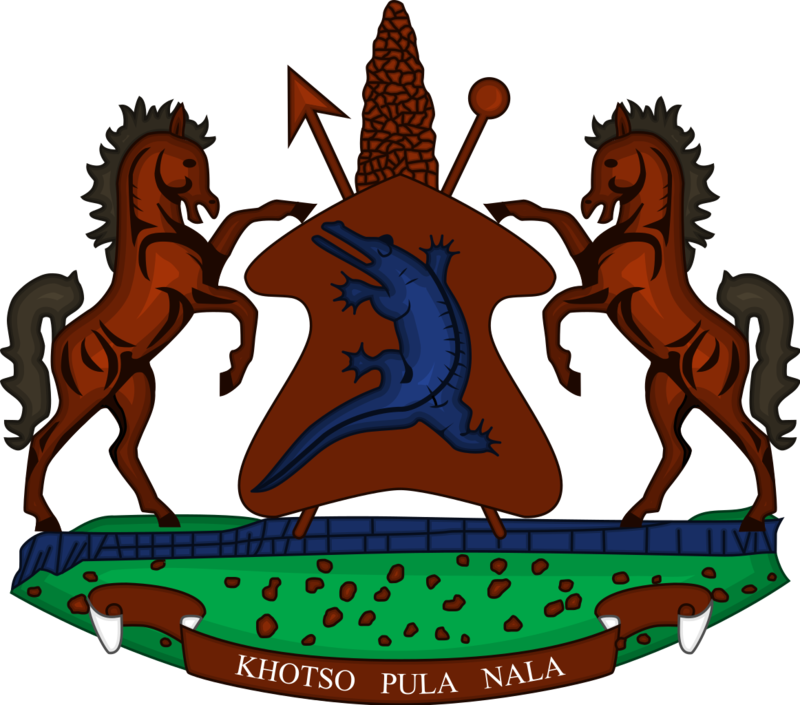 Justice Hlajoane was born in April, 14, 1951 at Ha-Rats’iu, Berea. She was the sixth child in a family of ten children of the late Mr. Makebe and Mrs. ‘Mathabang Letebele. She is survived by three children. According to her employment history in the judiciary, Justice Hlajoane first became a Clerk of the court in 1980, 3rd to 1st Class Magistrate from 1980 to 1991, Resident Magistrate from 1991 to 1993, Secretary of the Judicial Service Commission (JSC) from 1993 to 2001, Registrar of the High Court and Court of Appeal from 1993 to 2001 and Judge of the High Court from 2001 to date. Meanwhile, another memorial service for Justice Hlajoane will be held on Tuesday next week at the Ministry of Health’s Auditorium. She will be laid to rest at Bela-Bela in the Berea district on Thursday next week.